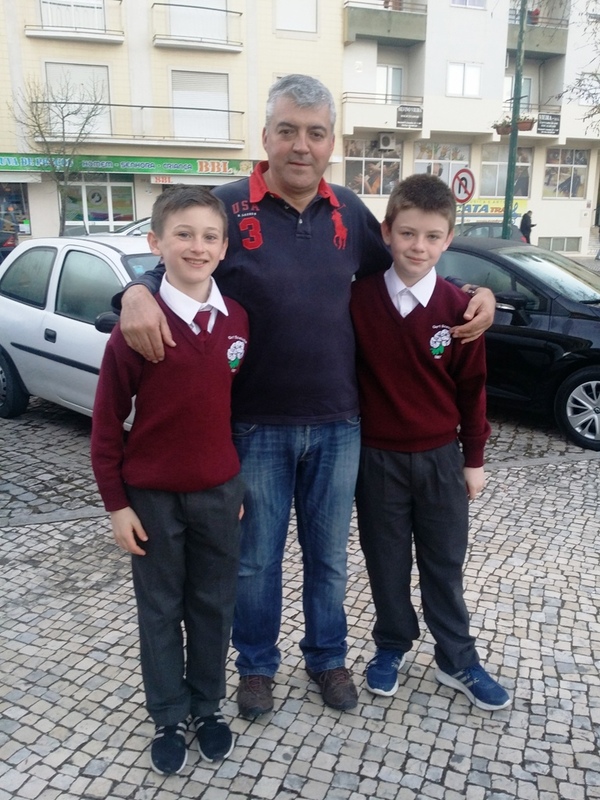 My family in Portugal was very nice. The parents had three children, one boy and two girls. The boy’s name was Jáou and he was eleven like me. They had one cat and a dog. The dog’s name was Toby and the cat’s name was Snowy. They had a very big house with two balconies. Evan and I played football and the Playstation 3 with Jáou. They cooked us some really nice food like meatloaf and spaghetti. On Thursday they brought us to the food festival and I had some lovely pork. I really enjoyed staying with them. The school in Portugal was huge. There were about 500 pupils in the school. There are three other schools in Rio Maior. My favourite thing that we did was our visit to the beach in Nazaré. We played football with everyone from the different countries. While we were beside the beach we all went to a lovely seafood restaurant. We tried some squid rings and they were really nice. We all had cod for dinner and it was delicious. At the school we also showed the other pupils how to build the Lego Mars rover. Evan and I were with the French team. We also had to show them how to program the robot that they made. When we went to Lisbon we went to the science museum. We got to go on a bike that was 18 meters from the ground but we couldn’t fall because there was a big weight underneath it holding it to the rope. We also made some origami rockets. On the last day we went to an Olympic sized swimming pool and in the evening there was a farewell party for all the countries. There was plenty of food – they even had 5 pizzas and all of them were 35 inches. After we ate our food we made our cultural presentation. I think the French made the best presentation. I really had a great time.